Epeli is an 11 year old boy. 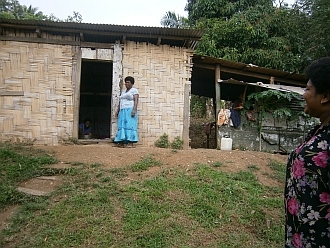 Epeli's father died in 2008 leaving him to be cared for by his mother. His mother dives for mussels in the river in order to earn a few dollars to support her 8 children. Life is a desperate struggle. They live in basic conditions without any mod cons or comfort including electricity. Epeli has already had to repeat a year due to disrupted school attendance. Epeli is very good with numbers. He is an avid rugby player and fan and loves to play whenever he can. 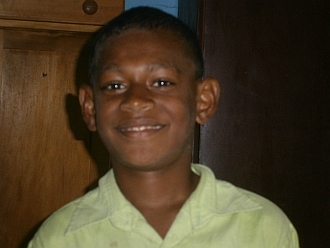 Epeli enjoys attending school and his favourite subject is Maths. When he is not at school he loves to play rugby. Epeli travels to school each day on foot. When he grows up, Epeli wants to be a pastor. Epeli's dad passed away and he is staying with his Mum with 3 other brothers and 1 sister at home. Mum is the sole bread winner with very little income to support these kids.